Married with a 12 year old son - Alex. Currently living in Duluth, MN but originally from Tulsa, OK. I'm now a Graphic Designer for a textiles company. 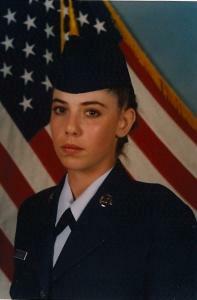 I'm hoping to find some people from my short years in the military. I was in SSGT Sanchez's Honor Flight W091 in the Tasmania squadron in 1994. Went across the field for tech school for Fire Truck maintanence.